Coconut milk or what we call gata in the Philippines, is one of the major staple ingredients in Asian cooking. In Brunei, Malaysia and Indonesia, it is referred to as santan. In Thailand (where a lot of great tasting coconut milk-based dishes come from), it is called ga-ti . In Brazil, it is called leite de coco. To me, I simply call it ‘yumminess overload’! This milk is a product of some vigorous squeezing from the meat of a mature coconut. Ahh, how I love all dishes with coconut milk. It can be used in a lot of savory dishes and likewise in a great number of desserts! 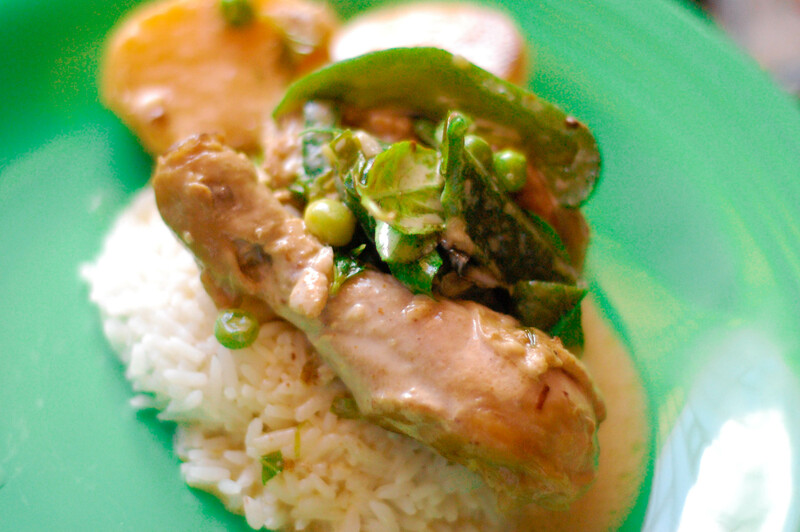 Today, I made some basil chicken in coconut milk. 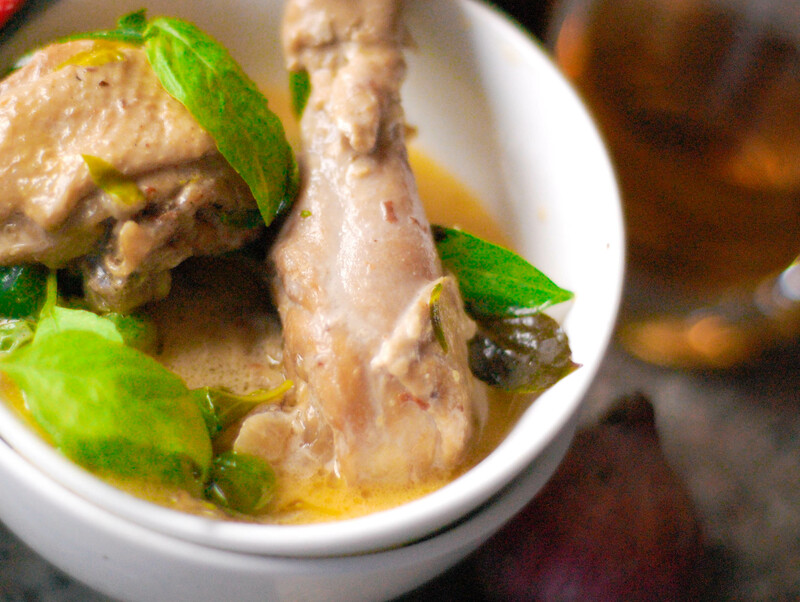 My tastebuds demanded for a reunion of ginger, basil, chicken and coconut milk. The aromatic contribution of the basil, the succulence and tastiness of this chicken’s red meat plus the malinamnam quality of the gata just did a mega ensemble that definitely gave us an extra scrumptious lunch. 2. In a skillet, saute ginger, onion and garlic. Add chicken and potatoes. Cover with water. Season with 3 tbsps fish sauce. Cook until tender and water has evaporated by half the original amount. 3. Add bell peppers, green peas and basil leaves. 4. Stir in coconut milk. Simmer for five more minutes. Serve hot.